Because we are passionately following our dream – to surf and to teach surfing all those who feel surfing could be a part of their life. 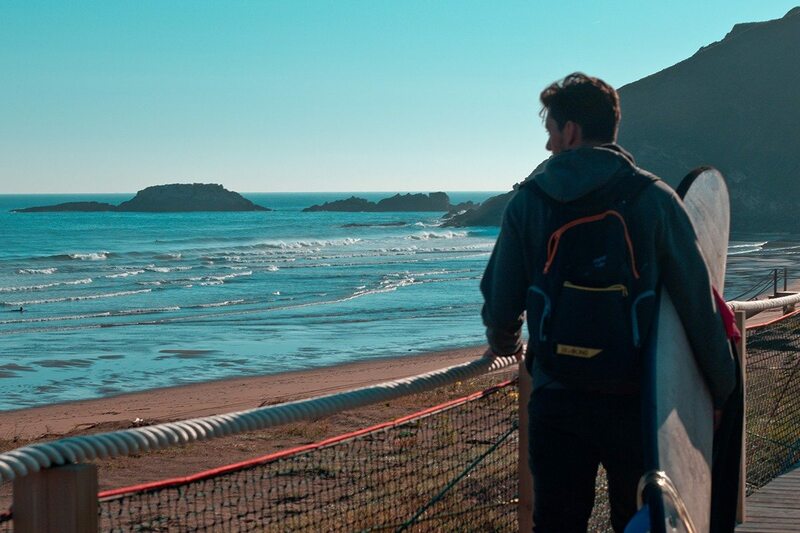 Zarautz beach is the perfect place to start surfing. There is always enough people in the camp for you to embrace new friendships, maybe fall in love and most of all meet new people who share the same dream as you – to surf and love. You wake up and here the ocean. Camping is a cool experience! It is the most natural way of living… and most of all, it is so much fun. Remember when we ware kids? Visiting Basque country alone is unforgettable without anything else…Daily trips to San Sebastian and Bilbao will add some extra great experiences to your summer vacation. We have a wide range of surfboards to choose from, so we can find the right one for you. The wetsuit and surfboard are yours to use all through your stay at our camp.  There are surf trips organized for intermediate and advanced surfers. Great opportunities to surf world’s best surf spots in Spain and France, try French pastry and enjoy on sandy beaches with your best new friends. Longboarding is a sport with growing popularity. Cruise by the promenade and charming streets in Zarautz. Longboards and surf boards go hand in hand. On summer evenings we are enjoying watching movies. Sit back and cozy up to our favorite surf movie. On sofas, under the stars without overpriced snacks and admission fees. 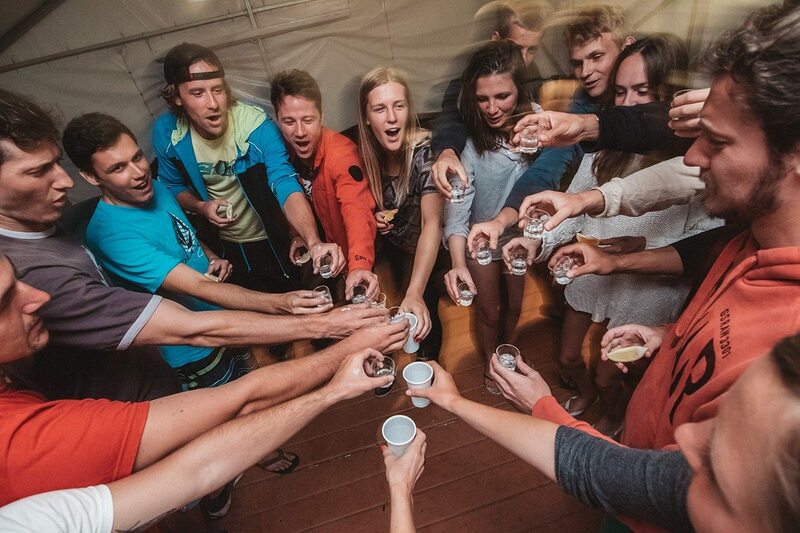 Unforgettable parties after epic sessions. Parties are a part of a surfing lifestyle. We are big fans of spontaneous afternoon parties around our house. Hilarious karaoke party after BBQ (and way too much sangria) should definitely be on your bucket list. 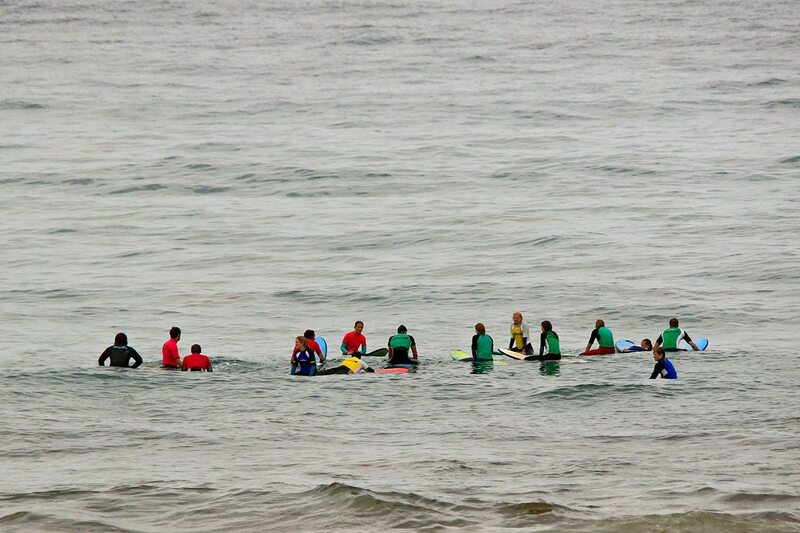 It is a great way to bond with our surf family. Bonding with your friends on summer evening by the fire is always special experience. Grilling some meat and veggies, have a beer or to and talking about todays epic surf session. Great public transportations offer connections to several touristic hotspots in region. 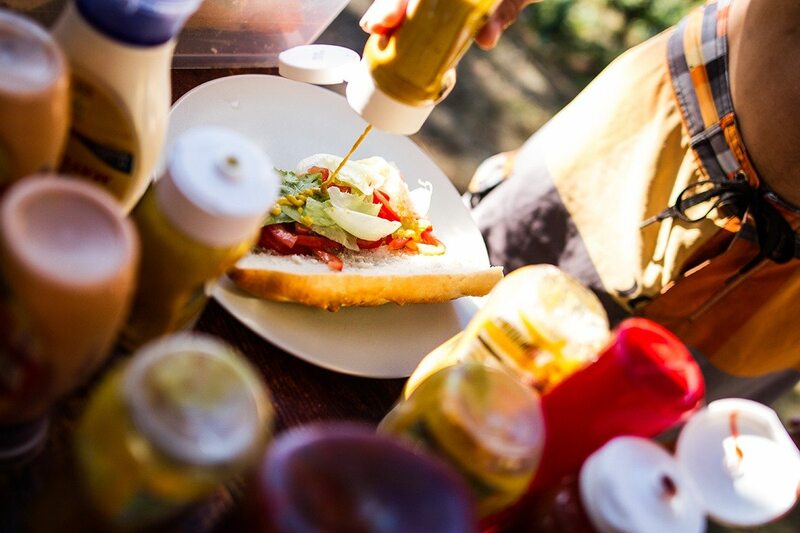 Foodies will enjoy heavenly food in San Sebastian, others will enjoy in artistic Bilbao. 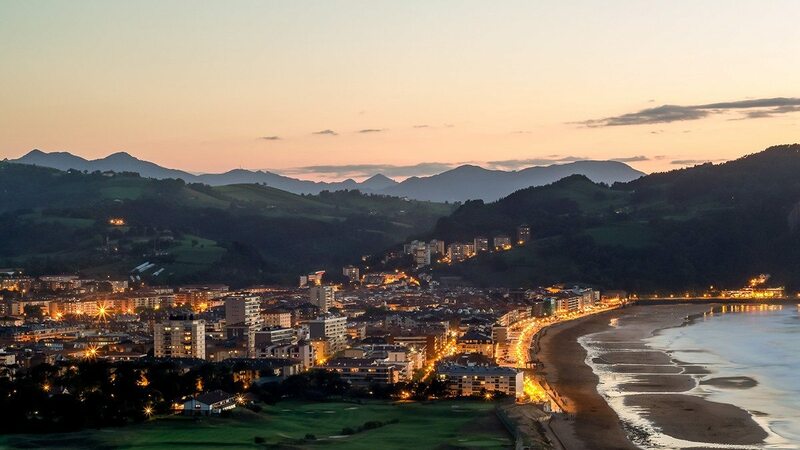 We are nestled in Zarautz, Basque Country. The spot itself is an exposed beach break that has incredible reliable surf. Summer offers the best conditions for surfing. 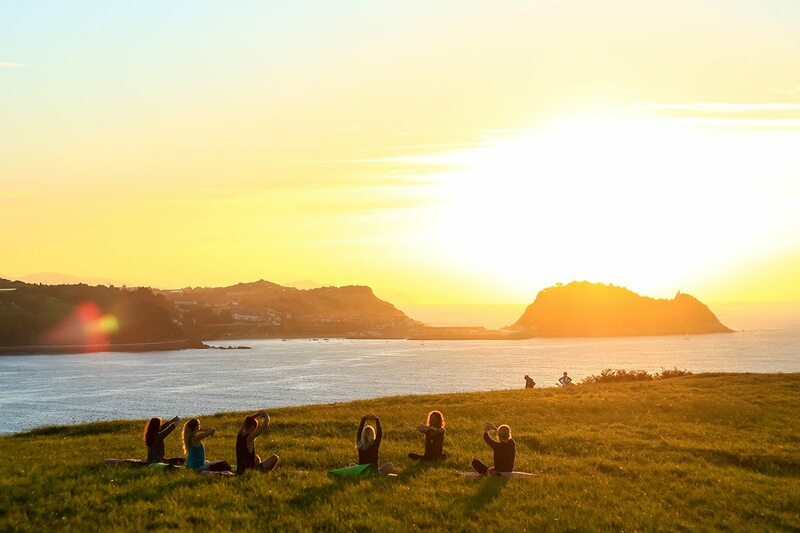 On the other hand, Zarautz is a lively city, with charming cultural center and a great natural environment for sports lovers. There is everything to be found for everyone – from great restaurant picks to bustling nightlife. Just about 15 km away, San Sebastian and other famous surf places are on the hand. Our accommodation combines urban way of holiday living with all the facilities needed for personal comfort, yet strives to become as much integrated in nature as possible. We are aware of how much damage is and can be done to environment we live in, so we took well care how we built the camp – by using mainly the natural materials for camp facilities and offering accommodation in modern comfortable tents. Ujusansa team appreciates tasty food and absolutely loves to try all creations from Ujusansa chef recipes. We know how important it is to have quality meals during days of intensive sport activities; therefore you are more than welcome to eat with us at Ujusansa Bistro. We serve two main meals per day – breakfast and lunch or dinner. In between there are several snacks available for you. Empower your surfing day in the morning by having a wide array of fresh fruits, muesli, bread, yogurts, etc. served for breakfast. Lunch/dinner represents a wholesome meal – containing lots of vegies and other various healthy food ingredients. Nevertheless, we still put some meat, delicious pasta meals and rice plates on a table too. 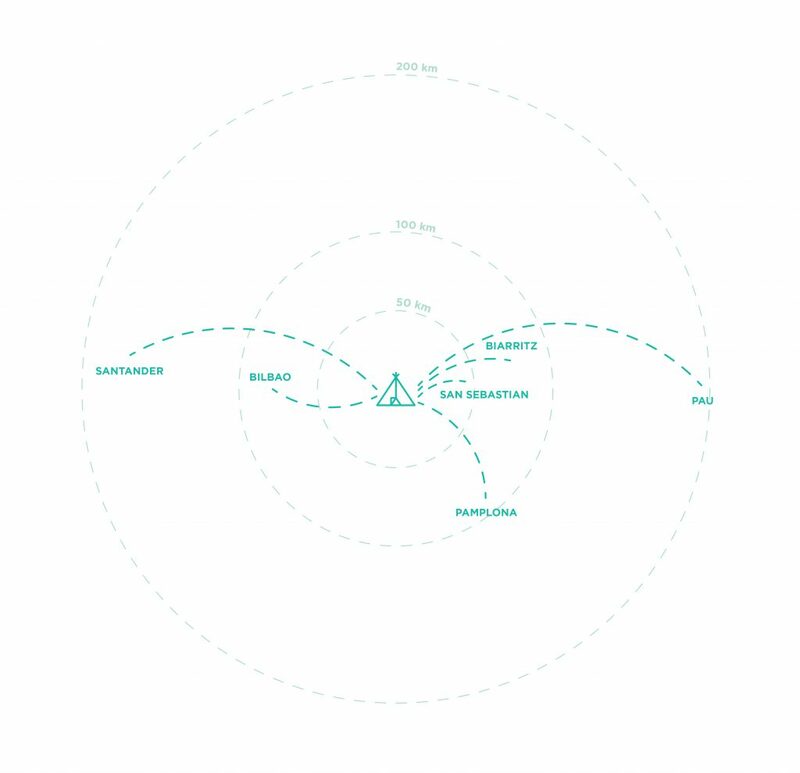 In radius of 200 kilometer you will find airports in Bilbao, Santander, San Sebastian, Pamplona, Biarritz and Pau. Bilbao Airport is the biggest and most convenient. 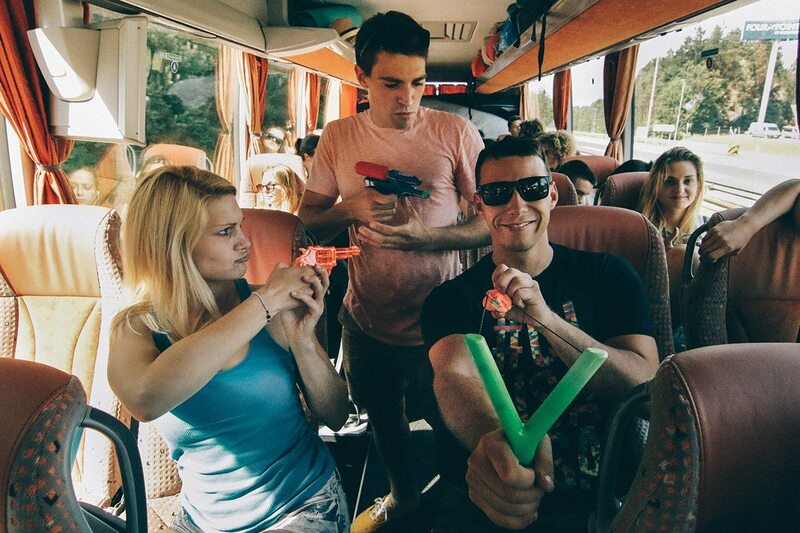 There is a direct bus from the airport to Zarautz / Our Camp. Just go out from the terminal and look for the San Sebastian bus. Tell the driver that you are going to Zarautz. Fast, frequent bus services link the Zarautz town to a variety of nearby destinations. Trains stop in San Sebastian (17 km), Hendaye (42 km), Iruña (37km) and Bilbao (85 km) while regional trains also stop in Zarautz. If you need assistance, contact us. Start date is the beginning of surf course, you must arrive on these dates. 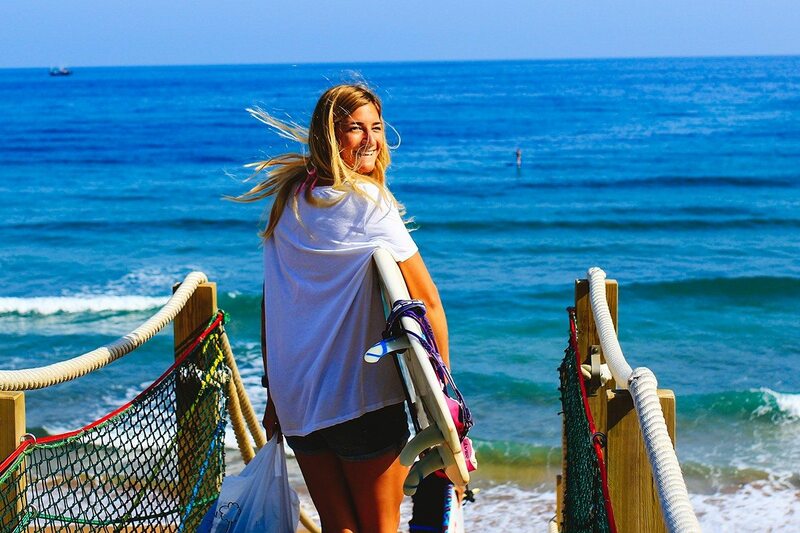 10 days and nights surf camp – Surfing non-stop!